But so adorable that it would be a bit difficult to eat. I’ve been seeing posts in FB stating that they’re bread but after checking around a bit it turns out they’re actually not edible. 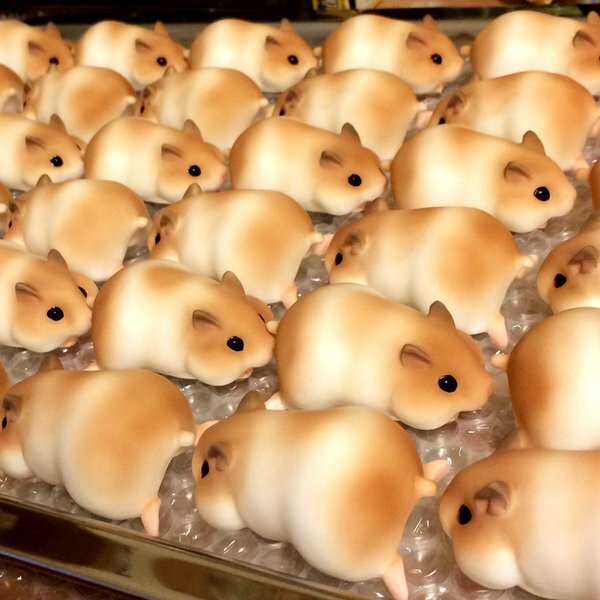 Japanese artist Yumi Nakano did such an amazing job hand crafting and hand painting these hamster figurines that they almost look like freshly baked bread. They look so good that she had to post a video showing that they’re not food and are actually made out of resin. She also makes other figurines and her works are available online.